Mom's gone home. 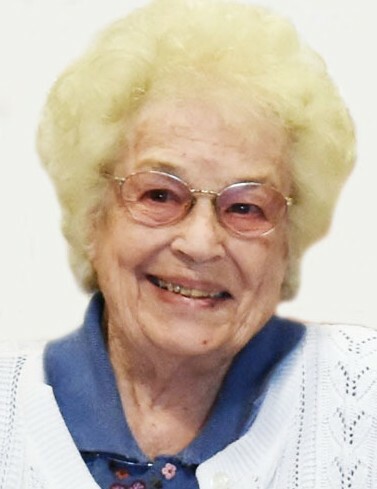 Vivian Jensen Hardcastle returned home on April 8, 2019. She was born on July 9, 1929 to Jacob Henry and Ada Jensen in Bingham Canyon, Utah. She married Dimond Ira Hardcastle on May 12, 1948 in the Salt Lake Temple. Dad passed away on June 6, 1990. She married Stanley G. Dimond on October 8, 1994. Stan passed away on March 31, 1998. As a faithful member of the Church of Jesus Christ of Latter-day Saints, Vivian diligently served in many ward and stake callings. She served years as a temple worker in the Jordan River Temple. She was blessed to fulfill a mission with Dad at the Atlanta Georgia Temple and later served a mission at the Joseph Smith Memorial Building in Salt Lake City. Her hands were always busy, helping, working and creating. Her heart was always busy, loving with compassion, blessing the lives of all who knew her. Survived by children Thomas D and Rosalie Hardcastle, Terry and Frank Powell, Peggy and Mont Margetts, Brent and Pat Hardcastle, Christine and Stephen Seddon; 11 grandchildren, 32 great-grandchildren, 1 great-great grandchild, and brothers and sisters. Many thanks to the staff from Sagewood at Daybreak for their loving care. Funeral services will be held Friday, April 12, 2019 at 10:30 AM in the West Jordan Utah Stake Center, 2700 W 7000 S, West Jordan. Viewing will be held Thursday evening from 6:00 - 8:00 PM at Goff Mortuary, 8090 S State St, in Midvale and Friday at the church from 9:00 to 10:00 AM. Interment will be at the Sandy City Cemetery.